The cat scratching tower is a triangular scratching tower, consisting of three levels. 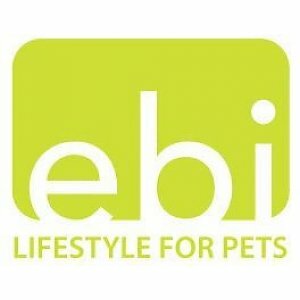 Your cat can reach the single level through several openings. Small plush balls are attached in every single opening. The outsides are covered with sisal and offer enough space for scratching. 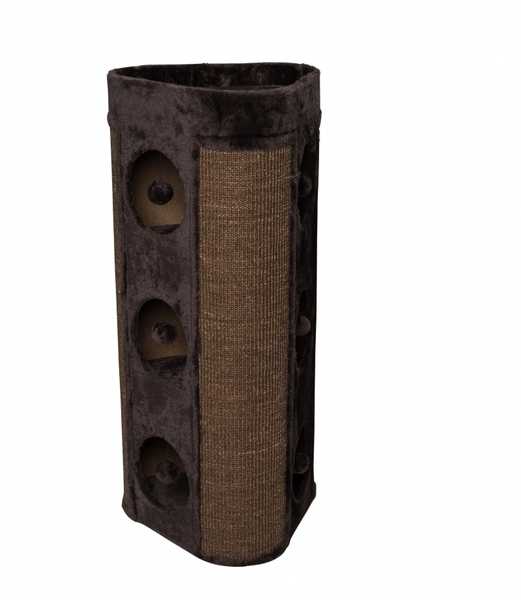 The top of the scratching tower is plush and offers a sleeping place for your cat. 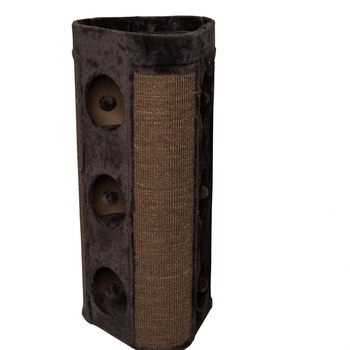 The scratching tower is available in brown and gray and in two different sizes.